The European Union has decided to issue EUR 15.5 million of budget assistance to Ukraine for the reform of the public administration sector, the press service of the EU Delegation to Ukraine has reported. Based on the results achieved by Ukraine in reforming the public administration sector in 2017, the EU decided to increase assistance to Ukraine in this important area of public policy. 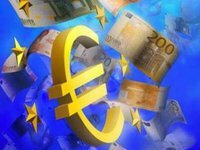 Some EUR 15.5 million of the total amount of EUR 90 million that constitute the EU's commitments to supporting this reform are to be transferred to the national budget of Ukraine for 2018, the agency said. The EU noted this is the second payment after the first tranche of EUR10 million, which was provided in May 2017. In addition, the diplomatic mission noted that in 2016 the EU approved a special program of assistance to reform the public administration sector in the amount of EUR 104 million, which provides EUR 90 million for budgetary support and EUR14 million for technical assistance, which is used to provide advisory services to state bodies involved in implementation of the reform. The decision to send EUR 15.5 million from the EU funds to the national budget of Ukraine for 2018 is our recognition of the tangible progress that Ukraine made in the implementation of the public administration reform, Thomas Frellesen, Chargé d'Affaires of the Delegation of the European Union to Ukraine, stated.